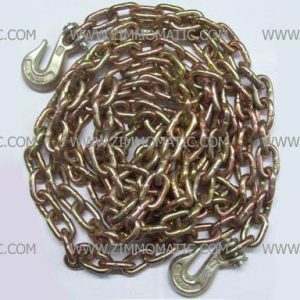 The 5/16″ x 20ft load binder chain is made from grade 70 steel. 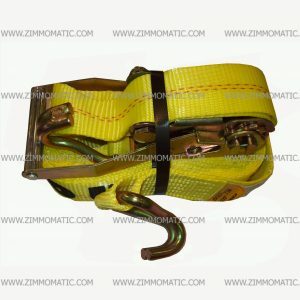 The chain comes with two clevis chain grab hooks which are also forged from grade 70 material. For heavy loads, think our binder chain, 5/16 inch x 20 feet. We stock 5/16″ and 3/8″ chains in 16ft, 20ft, and 25ft. These chains take a beating and hold many loads due to the grade 70 material components. This puts them into the load binder chain bracket and makes them legal to secure loads on your trailer. You can load practically any type of cargo and not worry about the consequences. We will sell you the load binder chains to secure your load so you can do the driving and focus on the road ahead rather than the load behind. 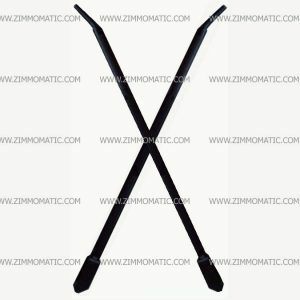 Give our 5/16″ x 20ft binder chains a try and prove to yourself these chains are really all they are cracked up to be. Don’t take our word for it; use a real chain. You may also want to check out our 3/8″ x 20ft chain, TSBC38X20.